At Murphy Battista LLP we are always looking for resources that could benefit our personal injury clients. This month we want to share information about the BC Wheelchair Sports Association and the great work that they do to serve and enrich the lives of Canadians with disabilities including people with spinal cord injuries. Since 1971, this non-profit organization has worked with partners across Canada to provide access to wheelchair sports to people suffering from a physical disability. Some of the sports that they offer through their organization include wheelchair rugby, wheelchair athletics (track and field), and wheelchair tennis. The organization also oversees wheelchair basketball through the BC Wheelchair Basketball Society and provides support to other activities including wheelchair floor hockey and a selection of target sports. The BC Wheelchair Sports Association provides these programs for athletes of all levels from casual beginners to top Paralympic competitors. 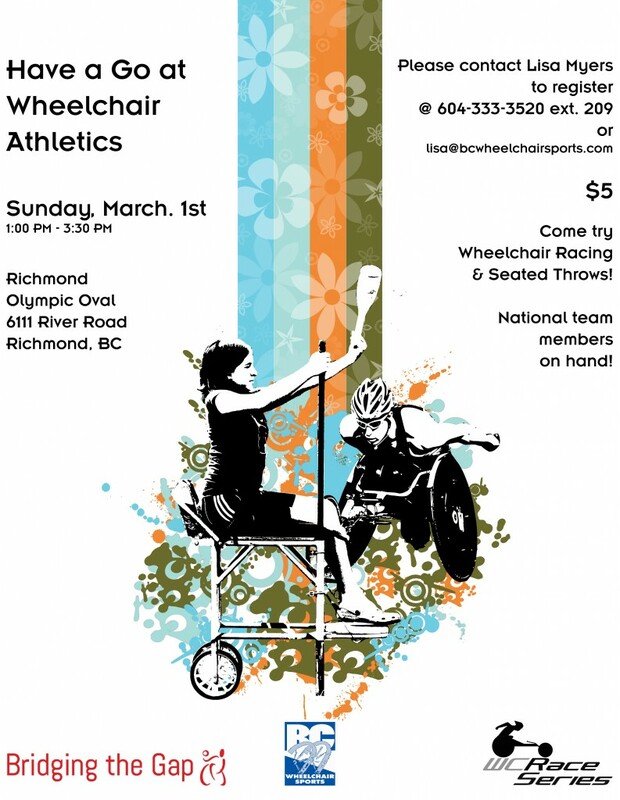 We share the BC Wheelchair Sports Association’s belief in the benefits of sport recreation for individuals with physical challenges and we are delighted to help spread the word about their upcoming Winter Clinics. If you’re new to wheelchair sports, you will probably be most interested in checking out the upcoming March 1st, 10:30 – 12:00pm session if you are under 18 and the 1:00 – 3:30pm session if you are an adult. The Athlete Driven Funding workshop and the Strength and Conditioning workshop are designed for athletes who are already BCWSA members. 10:00am – 12:00pm: Workshop on Athlete Driven Funding (Large Boardroom) Workshop for athletes on how to access different funding streams including grants, bursaries, sponsorships, etc. For more information on the BCWSA, please feel free to read their website or contact their Program Coordinator, Lisa Myers at 604-333-3520, ext 209.